One of the biggest barriers to studying for a CELTA is the cost. It’s not cheap. Firstly, you have to pay for the course itself and, at least for the 4-week intensive version, you have to factor in living expenses for the duration of the course. The cost soon adds up and it’s a difficult topic for many people. Thankfully, Cambridge English have recently announced that you can now apply for CELTA funding under the government’s Advanced Learner Loan scheme. This will help people with tight funds to study for a CELTA qualification. It’s a scheme introduced by the UK government to help eligible students to access further education opportunities with approved providers. Up until now the CELTA course hasn’t qualified for these loans, but Cambridge English has announced a list of CELTA centres that are now approved! See the list of approved CELTA centres here. 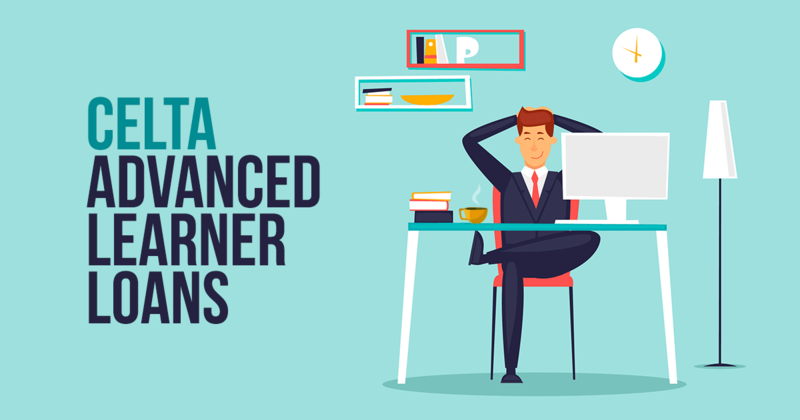 As the name suggests, the Advanced Learner Loan is a loan, not a grant. This means you’ll have to repay the money. If you are eligible for the loan, it will paid directly to your CELTA centre. As far as we understand, the Advance Learner Loan covers your CELTA course fee only… so not transport, books, living costs. If you do need support with other finances such as childcare and travel, it’s worth contacting your CELTA centre as some of them will be able to offer financial support and advice for those facing financial hardship. Cambridge English have said that funding of up to £1,417 is available. At the time of writing this guide, that’s equivalent to about €1,650 / $1,740. This should be enough to cover the cost of most CELTA courses – or at least reduce the cost to something very manageable. The terms are pretty flexible too. You don’t have to borrow the full cost of the course, you can choose to pay some towards it yourself. This is ideal for those that have some money saved up, but are struggling to cover the whole CELTA cost. Who is Eligible for CELTA Advanced Learner Loan? Thankfully, eligibility is simple too. The loan does not take your income into account and they don’t perform credit checks, so as long as you fit the criteria below you will be eligible! First check that your chosen CELTA centre is on the approved list. Ask your CELTA centre for a learning and funding info letter. This will give details of the application process and course details. This letter is important… you will need it to complete the application. Apply online or by post. You will need passport details or a birth certificate, and supporting information if necessary (e.g. proof of residency). Replies will usually come through within two weeks of the application. It may take a bit longer if you apply by post. To apply by post you will need to download the application form and guidance notes here. If necessary, you can also download the proof of identity and residency forms too. One thing to note is that you may need your National Insurance number in order for the loan to be paid, but not for the application process. Always check depending on your personal circumstances. You don’t need to start repaying the loan until the course is finished and you are earning over £21,000 per year. You won’t have to pay more than 9% of any income over £21,000 either. If you earn £25,000, you will pay would be about £30 per month. The interest rates are much lower than a standard loan and are linked to inflation. Any amount outstanding after 30 years is written off. The payments will be worked out by your employer and taken out of your salary automatically. If you’re self employed you will need to work it out as part of your self-assessment tax return. There is the option to make voluntary repayments if you prefer by contacting the student loans company directly. There are no charges for overpayment, so you can settle some (or all) of your CELTA loan at any time. You can find more information on early repayments here. What if I work outside the UK? If you work outside the UK after completion of your CELTA course, the government will make arrangements with you to collect repayments while you’re outside of the UK tax system. Your repayment threshold may vary according to price level indices for that country. You’ll be required to pay a fixed instalment. What if I fail or drop out of my CELTA? If you leave the course before the first 2 weeks, the loan will be cancelled and this won’t count against you in any further loan applications. If you leave your CELTA after the first 2 weeks, you’ll have to pay back any money that’s been paid to your course provider (plus interest). You may be able to transfer your loan to another course, but you’ll need to speak to your CELTA centre to discuss this. If you fail your CELTA — or you drop out due to personal reasons such as illness — you will still be expected to repay the loan, but you won’t be barred from taking out another loan to complete the course again. If you are thinking of applying, get in quickly. This is likely to be a popular option for many students as it’s a cheap way to finance your CELTA course, and much better than taking a standard bank loan. It’s also likely to increase competition for course places, so get your applications in early!